The rand, which ended last week on a high, passed the R13.20/$ level on Monday morning, after opening at R13.28 to the greenback. By 11.30, the local currency was changing hands at R13.19/$, up 0.58%. Bianca Botes of Peregrine Treasury Solutions said in a morning note that the rand had not yet reacted to weekend news that President Cyril Ramaphosa had secured billions of dollars in investment during his trip to three oil-producing countries. Ramaphosa rounded off his visit with Saudi Arabia and the United Arab Emirates each pledging $10bn in investment. "We might see some more information regarding the investment filter through to the market [on Monday]," she said. 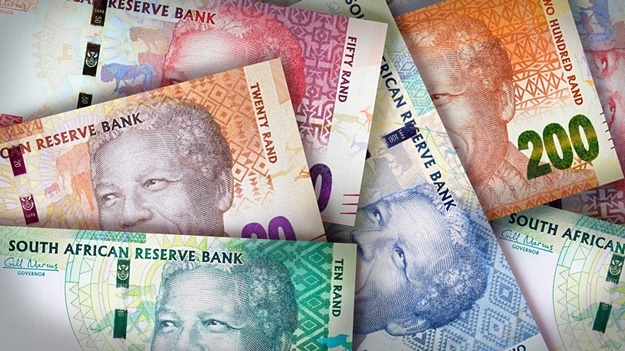 Wichard Cilliers, director and head of dealing at TreasuryONE, said the week ahead would be important for the rand, with the SA Reserve Bank's Monetary Policy Committee announcing its latest repo rate decision on Thursday. "The SARB is expected to maintain rates despite the weaker growth environment, and we believe that this will maintain a more resilient environment for the rand," he said. Stats SA, meanwhile, will be releasing its Consumer Price Index data for June, and retail sales for May on Wednesday. On the international front, Hussein Sayed, chief market strategist at FXTM, said the rand would likely react to the release of US retail sales figures on Monday afternoon. "An impressive US retail sales report may support rate hike expectations consequently enforcing downside pressures emerging market currencies, including the rand," he said. Meanwhile analysts say the rand would continue to respond to international events this week, with Chinese reaction to US President Donald Trump's trade tariff war in particular being closely watched by markets. "China still has yet to respond to the new threat which is likely to dominate the headlines again. It will also be interesting to see if today’s EU - China summit will lead to a stronger coalition between the two economic powers as both continue to struggle with Trump’s administration," said Sayed.